U.S. Naval Academy Alumni Association of North Texas - Welcome Reception for All Hands to Kick Off Our Weekend Festivities! Welcome to the U.S. 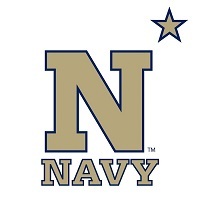 Naval Academy Alumni Association of North Texas - Welcome Reception for All Hands to Kick Off Our Weekend Festivities! Let's make this a big Texas welcome! The Welcome Reception is to celebrate all alumni from Texas, Oklahoma, Arkansas and Louisiana Chapters, friends and family from Parents Clubs and of course, the Naval Academy Alumni Association members from Annapolis. We are planning to have various savory dishes of appetizers along with a cash bar. Before the Reception, we hope you will also join us for the September Chapter Luncheon featuring Admiral Sam J. Locklear. The luncheon will start at 11:30am and is located at the Hilton Park Cities, Dallas. Hope y'all can come! Get the word out! It will be a great time to meet our friends and family from all Texas Chapters and Parents Club members. You won't want to miss the fun! Mark your calendars and come be a part of the BIGGEST WEEKEND of the YEAR!